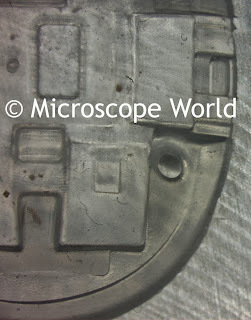 The Moticam 580 microscope camera is unique in that it allows multiple output methods from the microscope for live viewing. USB directly to computer (view live images on the screen and use included software to capture and save images. HDMI output for projection to a large screen or monitor. SD Card captures images and easily allows you to remove the SD card and view them in another location. 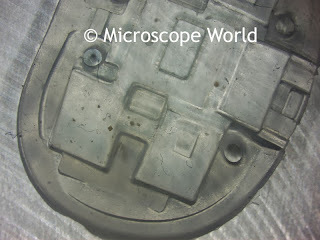 Microscope World recently tested the Moticam 580 both by capturing images and video of molded rubber. 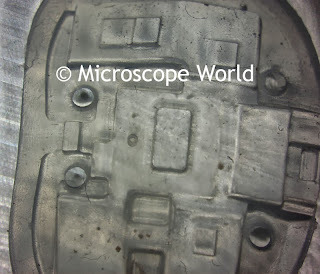 These images were captured on the computer using the included Motic Images software. It should be noted that on-screen resolution of the Moticam 580 is only 640x480 (USB). Resolution is much higher (5mp) when using an SD card to capture images. 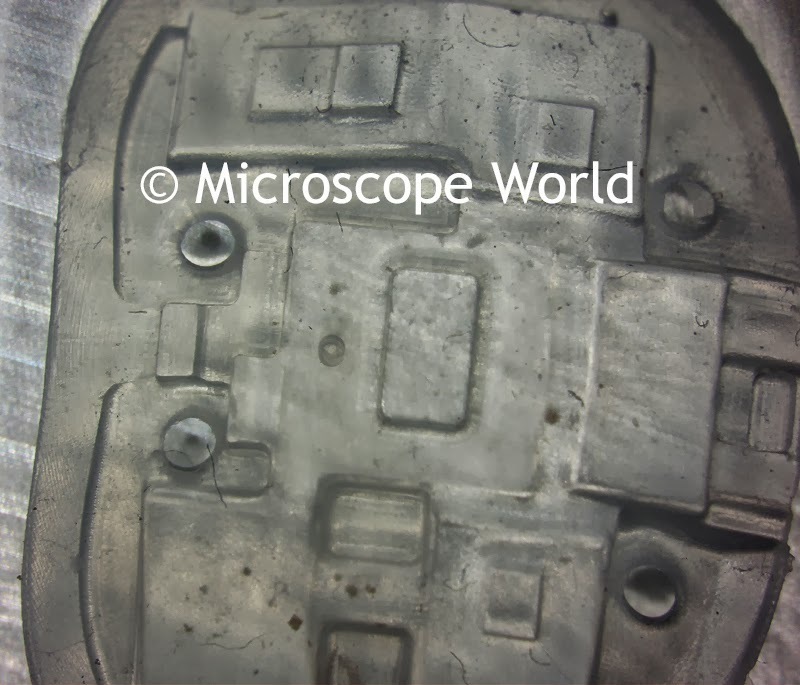 Molder rubber captured with Moticam 580 using USB connection. 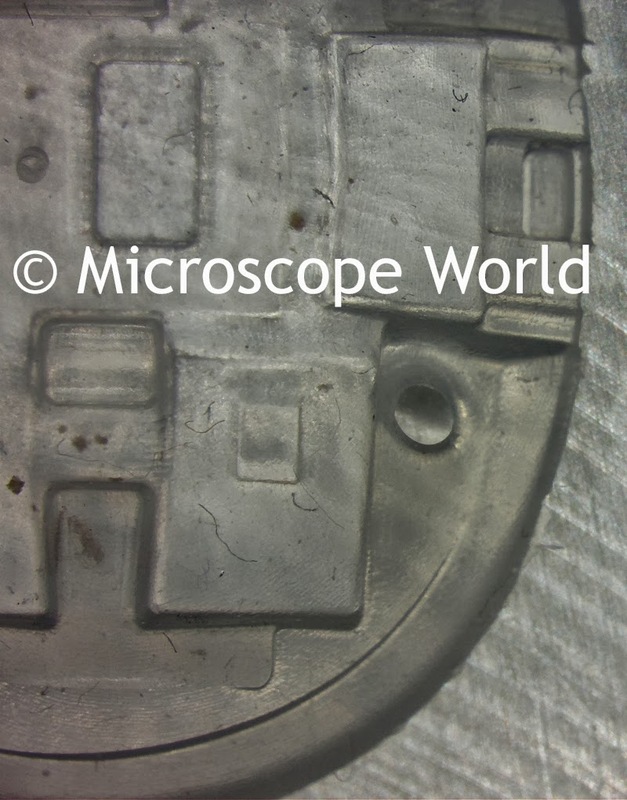 The video below was captured with the Moticam 580 - and it is a good indicator of the frame rate that videos from this particular microscope camera provide. Often times movement beneath the microscope appears jerky when using a microscope camera, but the Moticam 580 has a fairly smooth frame rate that provides a good fluid image transition.